Spain is home to countless monuments, heritage, attractions and festivals in Europe that account for high influx of visitors coming from anywhere in the globe to enjoy being amazed by Spanish culture and natural marvels. Spain is also home to many cultural and tourist places that serve as destinations for any family that desires to spend an everlasting destination. One of the main tourist and holiday destinations of Spain, and Europe in general, is the Island of Mallorca. This is the largest island belonging to the Baleares Island archipelago and shines to the north of Spain, in the Mediterranean Sea. It is one of the foremost principal destinations for tourists from Europe and worldwide seeking the thrill of an adventure or looking for some quiet vacations. Apart from being famous for their luxurious hotels and resorts, historical heritage, and mind-blowing landscapes the main reason to visit this Balearic Island is to enjoy the white-sandy crystal-clear-water beaches. It is not a secret that the Spaniards host one of the most beautiful and tranquil coastlines not only in Europe, but in the world, being one of the most selected beach destinations in the Mediterranean Europe. Many tourists from any country of this planet schedule their vacations to spend some quality time with their families in any time of the year in these paradises that the Spanish pearl of the Mediterranean has to offer. Among these sandy paradises we find Cala Barca beach, popular among snorkelers and divers; Cala D’Or, which spreads along five other beaches with one of the most luxurious resorts; Alcudia beach, representing the main attraction for tourists going to the north of Mallorca, amongst the many inlets and calas that their visitors may find along the shores. 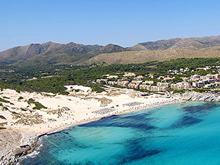 Alcúdia is a city located North of Palma de Mallorca, capital of the Island, and the tourist center hosting the largest string of hotels and resorts of the Island The best offer Alcúdia has for their guest is their most valued resource: their pristine beaches. This city is located 60 kilometers from Palma de Mallorca International airport, which translates into a 50-minute trip using Majorca transfers, the popular service of transportation the tourist can enjoy in the island to get from the airport to the hotel or any other destination. Transfers Palma is the best service the tourist and visitor may select and book in advance to make their stay in Mallorca more enjoyable. 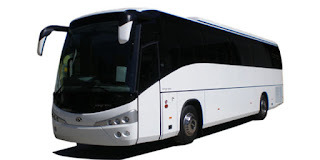 Our company offers taxis, minivans, minibuses and even buses to bring you the best option suitable for your needs and the best service for your desires. We are happy to transfer any quantity of visitors to any of the Mallorcan cities. You can book your transfer with 24 hours in advance by visiting us at Majorca transfers and selecting the option that best suits your needs. 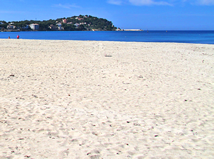 If you are convinced to visit the Northern range of beaches or your resort is located in the famous tourist center of Mallorca, you may book any of the Alcudia Airport Transfers in the following link Transfers from Palma to Alcudia without any cancellations fee and with the total security of avoiding any last-minute hassle. Mallorca has always been famous among tourists for its beautiful crystalline beaches with luxurious resorts, which make an excellent choice for some well-deserved holidays. It is also famous for being home to many celebrities from the show business and the sports scene such as tennis player Rafael Nadal, actor Michael Douglas and former model Claudia Schiffer. But Mallorca draws visitors from all around the world for one the most practiced activities in its roads: cycling. 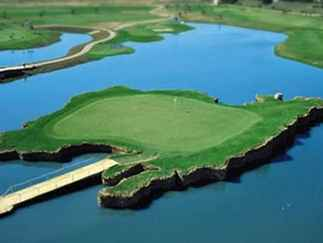 There are many activities that the great Balearic Island can offer to the visitor. 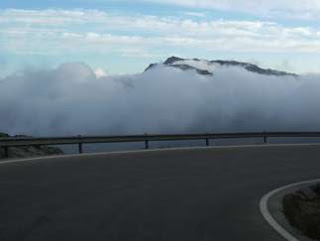 You can do trekking and climbing in the mountains; you can play golf in the diverse golf courses available in the island; its beaches and coastline invite for many water sports like scuba diving, snorkeling and windsurfing; and you can enjoy cycling through the vast Balearic territory, whether it is for leisure or for training. This Mediterranean island has everything to offer to the cycling enthusiast. 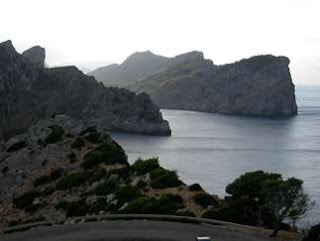 Mallorca possesses the most varied terrain for the practicing of cycling: Serra de Tramuntana is mountain range located to the northwest of the island, just 30 minutes from the International Airport Palma de Mallorca. This mountain range offers the best slopes and hills a cyclist would dream of. Select your gear and make the best climb time and the coolest descent, enjoying the most perfect view, the same view that professionals like teams from Tour de France enjoy warming up to the upcoming season. The fact of being an island guarantees that you will always have a perfect landscape inspiring you for more distance and more time on the bike. This scenery can be enjoyed all year round given that the weather is suitable for this activity. A word of advice would not go amiss for the months of summer. Consider that the temperatures during the day can raise up to 32ºC, which can make your cycling run harsher than usual. It is recommended to get up really early in the morning or to schedule the training session for the afternoon. That way you will enjoy the fresher temperatures of the day along with the most majestic sunrise or sunset, respectively. When travelling to Mallorca for cycling, you may bring your own bike or rent one in the many stores available throughout the island. 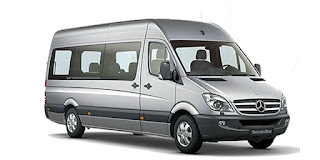 You do not need to worry about transportation in the former case since Transfers Palma can cater to your needs. Simply visit cycling mallorca and book your transfers Palma to be taken from the airport to your destined hotel along with your beloved bike with total safety and insurance. Whether you are enthusiast or a professional cyclist looking for the best transfer service in Mallorca, and you will not be disappointed. 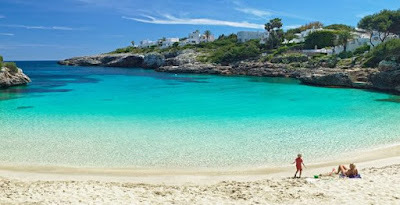 Cala d'Or and how to get there! Cala D'or is synonymous of maritime beauty, calmed beaches, crystal clear waters and relaxation either to enjoy alone or with your family. Its many kilometers of beach is Majorca's main attraction for tourists who like quiet beaches, sunbathing, snorkeling and admiring the immense variety of fish that swim within the waters of the Mediterranean sea. The first option is obviously by buses. 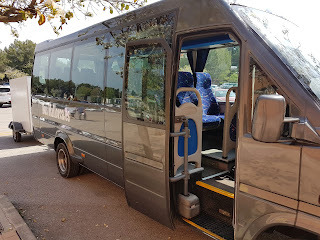 These transport units can transport more than 50 people; these have comfortable seats, air conditioner, and FM Radio to set the trip with alternative and good music offered by Mallorcan radio. With the option of the bus you can enjoy in addition to the roads and the landscape that offers this city in a normal and moderate speed. The buses have strategic bus stops located by all the small towns within the island and are certainly of interest to your visit. The bus route is the longest and slowest within the 3 common transportation options and for the tourist who, if you like to visit and see extravagant and exciting areas, is an excellent option. Although the usual route is line 501, which has many bus stops, it is still a good option and economical for those who enjoy the journey on land slowly and leisurely. These lines are excellent for Transfers from Palma to Cala d Or. 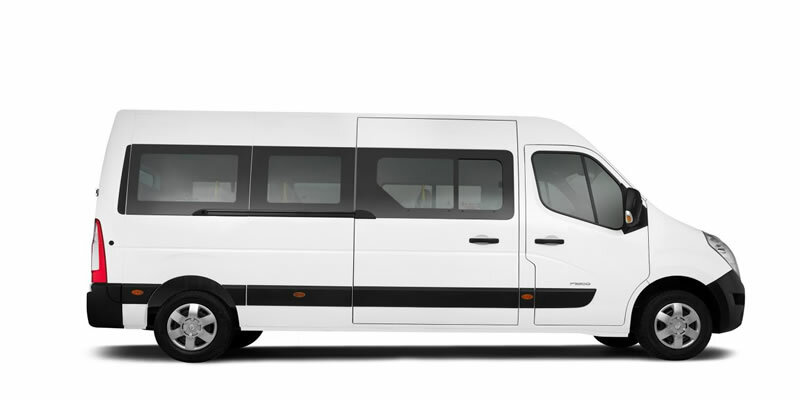 The following option on our list of transport units we have an intermediate opion: the minibuses. These transport units allow less people to transport (about 20 people) and offers everything the buses have: comfortable seats, FM radio, large windows to see the landscape and the option to go at a speed not very fast but not very slow. The option of the minibus is the most profitable and the one that leaves more frequently for Cala D'Or due to its large volume of units that are located along the airport. 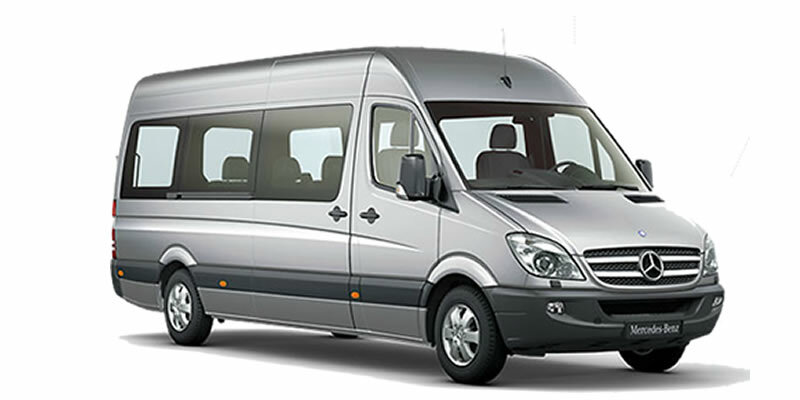 The minibus option is also the most talked about because of its excellent service by the drivers and their excellent recommendations to thousands of tourists who come every year to the island of Mallorca. Finally there are taxis. These small transport units offer speed and time, as well as offering a more personalized and friendly customer service with tourists. Taxis will always be available to you in any part of the city of Mallorca and, at a slightly higher cost than a bus or a minibus, they will leave you anywhere on the island and reach places farther away than previously mentioned. 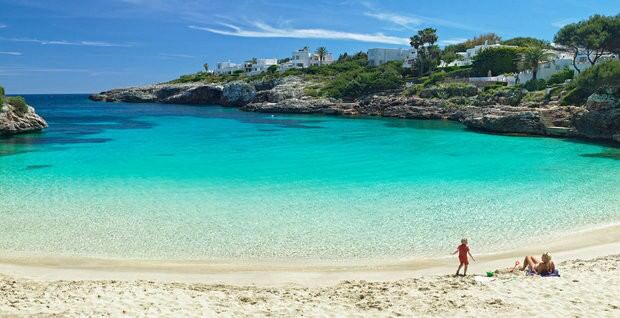 So you know, do not forget to enjoy Cala D'or having already the options to get around. We'll see you in your next adventure! The buses that give to go to the town of Ca’n Picafort will always wait for you on the outskirts of the airport of Palma. These are good choices for their wide varieties of buses. And because Ca’n Picafort can only be reached by road, the most common option is the bus. These buses usually cross the 390 line, the most popular and therefore the busiest and is an excellent alternative for those who love slow travel and have the pleasure of seeing all kinds of landscapes that the Mediterranean Sea offers. These options will be available to all tourists in Palma airport to Ca'n Picafort. Secondly we have minibuses. These transport units are the intermediate option for the majority of the tourists who visit Mallorca. And it is not surprising that it is the most favorite option for different tourists since it combines: FM radio, comfortable seats, friendly transport staff with tourists and the ease of taking your family or a large group of friends inside the minibuses. The minibuses that go to Ca’n Picafort are also very popular and very used by all the tourists. In general, as well as buses, they use line 390, but they go a little faster compare to buses and are excellent option for large groups of friends who want to talk on the road or for large families who want to visit Ca’n Picafort. Last option will always be the most reliable taxi. These taxis are the excellent option for those who do not like to drive, do not like to wait for a bus or minibus and to go to the town of Ca’n Picafort as fast as possible. It is also a great option for those who want more personalized treatment, and this is due to the good service provided by drivers to tourists and the cost of going from Palma airport to Ca’n Picafort is around 100 euros. In Manacor, just over 67 km from Mallorca, is the main tourist center of the coast of Manacor: Calas de Mallorca. These Cales are formed by 3 renowned beaches (Cala de Antena, Domingos Grans and Domingo Petits) and are easily accessible. As always, we will begin this article by saying the advantages of buses. This transport unit is the most used throughout the island and has fixed routes there (including the route that reaches Calas de Mallorca). The route that it crosses is the 69 and covers approximately 67 or 68 kilometers from Palma to Calas This route is the one that offers less stops on the buses line in comparison with the other tourist zones of which we spoke previously (being Can Pastilla, the Arenal and Fields the Stops) but in exchange for this, the route offers a mountain landscape and you can delight the beauty that combines sea, jungle and mountain in one place. This route is the most natural heritage and spectacular views for travelers who like to look out the window at a comfortable speed. This service is also available for Private transfers majorca . Minibuses are also the most recommended option when transporting from Palma airport to Cala de Mallorca. They are faster and easier than buses. They offer packages for large families and large groups of friends. Following the same route as the buses but with the option of staying longer in the villages that cross the route or otherwise by group decision, to ignore the settlements and continue along to Calas de Mallorca. 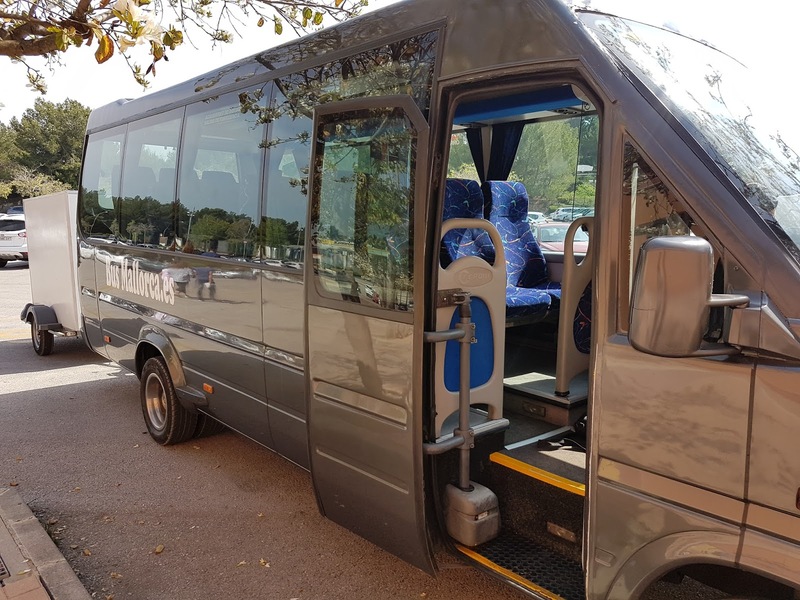 The minibuses will always be available throughout the city of Palma de Mallorca and even closer to the airports and will make special emphasis on customers arriving from Majorca airport Transfers. Taxis being the specialty within Mallorca, there are more popular and has many fans and possibilities to travel anywhere, they are known for their personalized service, multilingual staff, 24-hour service 7 days a week and the ability of going by car to those places where buses and Minibuses cannot arrive. By spending a bit more for each trip, taxis will ensure that the destination desired by the tourist is reached in a short time and without mishaps. Taxis will always be available along oute 69 and villages from Palma de Mallorca to Campos and will leave you at the entrance of fine hotels in Calas de Mallorca or near the beaches mentioned above. Taxis are highly recommended for their ability to better adapt to customer requirements. If you do not believe me you can check on it the following website . For my part that is all I can say about how to get to Calas de Mallorca, I hope this information is helpful to you and please do not stop to enjoy this Calas in particular. See you! One of the many options the tourists and locals in Mallorca have to arrive to their hotel is to hire a taxi or even a private bus. 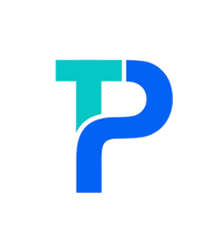 The difference between this service and public transportation lies in the comfort and peace of mind that a private transfer brings about, and at a very reasonable fixed price. A private transfer can take you directly to your hotel from the airport without making any undesired or tedious stops along the way. It also provides the tranquility of being surrounded by very few people or just by your family and friends. At Transfers Palma, we offer this service and satisfaction to all our Majorcan guests. Our drivers not only provide a secure ride to your selected hotel but can offer you further assistance about any attraction seen down the road, or about what places to visit during your stay in Mallorca. If you have selected Santa Ponsa as your holiday destination, then Bus Mallorca is your way to go. Our staff is on duty 24 hours a day to provide the most exclusive and safest Transfers from Palma airport to Santa Ponsa. Our fleet of taxis, minibuses, and buses are prepared to accommodate any number visitors coming to spend some well-deserved vacations at the Balearic Islands. Whether you are a couple, a small family or a large group of high-school graduates, we will be ready at the Palma de Mallorca International Airport to take to your hotel in Santa Ponsa or any other city of the Island. Our Bus Mallorca service can accommodate up to 55 passengers with air conditioned any necessary storage for your luggage. 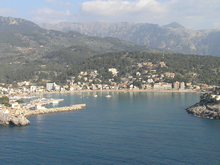 Santa Ponsa is a very small locality of Calviá municipality just about 20 kilometers southwest of Palma de Mallorca. This small tourist attraction is a hidden gem given its mountain-shielded bay which offers the most crystalline beach. It was recently extended with imported sand to increase its half mile extension, that way this precious beach can accommodate more and more tourists. Santa Ponsa is Celtic-themed when describing its nightlife and restaurants given its influences. The majority of tourists and many locals are of Irish and Scottish descent, thus providing a very international ambient to the visitor. What to expect in Santa Ponsa? Many of the items in the menus from the restaurants and bars of this area are a reminiscence of the high percentage of visitors coming from Ireland and Scotland. Santa Ponsa usually receives its high volume of tourists during the Summer time, but the months of winter are still perfect for the tourist who is seeking to enjoy the sun and the tranquility of a peaceful break from the routine. In case you have not made your reservations, you have a wide variety of hotels to choose from, ranging from the most luxurious resorts to the all-inclusive self-catered modest hotels, ideal for your kind of holiday. You will not be disappointed when looking for a perfect room, since Santa Ponsa’s perfect location and geography guarantees that having a room with a view is more of a certainty than a possibility. Visit Transfers from Palma airport to Santa Ponsa now to book your Bus Mallorca to Santa Ponsa and enjoy this Celtic marvel in the Spanish paradise. If you have already taken your decision to spend your holiday on Mallorca, offers you a wide range of great possibilities. 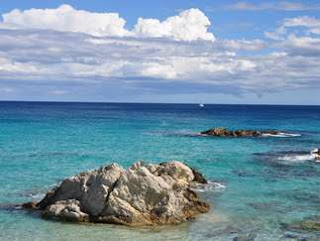 Cala Bona is situated in the township of Son Servera, in the Northeast of the balearic isle, where we can find hotels, appartments, restaurants and nightclubs. Sa Coma, in the township of San Lorenzo de Cardassar, is a small village situated in the East of Mallorca with a nice promenade next to the beach. Cala Millor is one of Mallorca´s largest towns, situated in the East of the isle. Its beach is more than 2 km long and there are many hotels and appartments, shops, bars and cafés. Illot is part of San Lorenzo as well as of Manacor. There we can find the wunderful strand of Cala Morlanda and Cala Moreia. Pollensa The village Pollensa and the bay has a variety of different landscapes, Majorcan traditions, botanical wealth and a lot of restaurants , where you can enjoy the most typical Majorcan food. There are the tranquil waters of Puerto Pollensa or the stunning views at Formentor, and the tiny Cala Vicente. Pollensa stages every year on August 2nd “Los Moros y Cristianos”, the festival of “Moors and Christians”, that shows the failed invasion by pirates in 1511, when the pirates were defeated and the lovely village was saved of destruction. Today it is the perfect place for an unforgettable holiday. Can Picafort is a costal town situated in the North of the islet in the township of Santa Margarita. There is a large selection of hotels in this touristic hot-spot, providing tourists with over 11.000 beds. Can Picafort has a beautiful white sand beach with clear blue waters. Calas de Mallorca is a touristic place located in Manacor, the Southeast of Mallorca, and boasts with a large number of beautiful places to discover, unique pristine sand and turquoise waters. Calas de Mallorca Located southeast of Majorca. crowd of places to discover, surprising and unique shingle beach and coves, crystal clear turquoise waters. It belongs to Manacor. Multiple resorts. It is declared a tourist area. Cala dor, one of the very first constructed touristic area, is situated in the township of Santanyí, in the Southeast of Mallorca. There are different kinds of seashore and coves next to the Natural Park of Mondragó. You can choose between a great variety of family activities like boat trips, diving schools or guided tours on horseback. 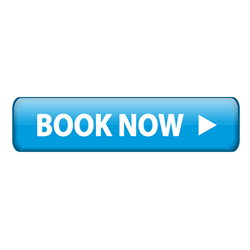 Save your budget with low prices, book a majorca airport transfers. Private transfer, waiting at your arrival to take you in a minibus to your hotel, and take you back to the airport at the end of your stay.